When a gadget's best feature is its price, you can pretty much guarantee it's a lousy device. 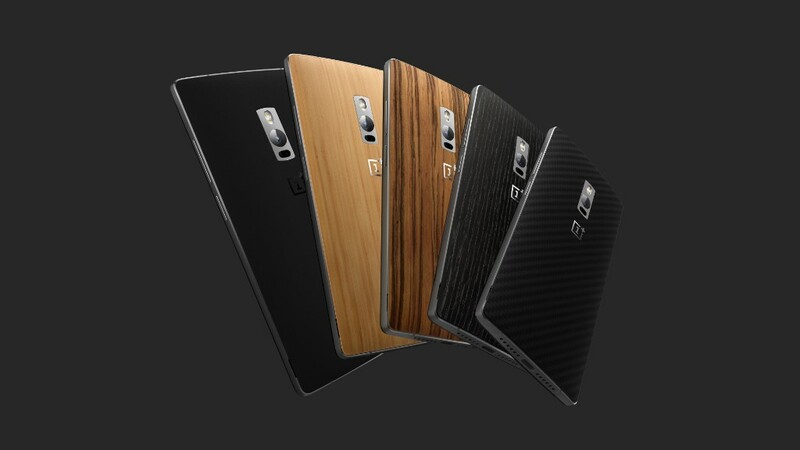 But the OnePlus 2 smartphone is a notable exception. The $329 price tag is the single greatest thing about the OnePlus 2, the latest smartphone from Chinese startup OnePlus. It's an absurdly low price for the amount of phone you're getting. The OnePlus 2 ticks all the boxes for a high-end smartphone: It's fast, well-designed, has a good camera, features some neat software tricks, has a beautiful screen and daylong battery life. Few other sub-$500 phones on the market boast all that, let alone phones that cost less than $400. Though it does all those things well, it doesn't really accomplish many of those tasks the best. The iPhone, Galaxy S6, LG G4 and HTC M9 are better overall smartphones. But are those high-end phones worth the extra $170 to $320 that you'll have to fork over for them? 1) Design. It feels great in your hand. The metal frame around the edge is durable and beautiful, and the "sandstone" back (it's actually plastic) is nice and grippy. The home button and fingerprint sensor doesn't depress, which is a bit unsatisfying. The three-step ringer toggle on the left side should be a neat feature (it shifts between Android's three ringer settings), but it strangely doesn't put the phone on vibrate. 2) Speed. You're getting one of the fastest processors on the market. There are no lags -- it's a total powerhouse. 3) Battery. It has a bigger battery than any of the top phones on the market. It will easily get you through a day on a single charge. But it doesn't come with any nice features, such as wireless charging or, more importantly, turbo charging. It also uses a USB Type-C connector (also found on the new MacBook), so your old phone chargers won't work with the OnePlus 2. 4) Screen. It's great on paper, but the display appears faded compared to other high-end smartphones -- the colors just aren't as brilliant. The 5.5-inch screen may be too big for some, but the body of the OnePlus 2 is notably smaller than the iPhone 6 Plus, which also features a 5.5-inch screen. It doesn't feel like a giant phone from side to side, though it's oddly tall. 6) Software tricks. It's pretty much Android as Google (GOOG) intended it to be with a few nice tweaks: You can quickly get to the camera by drawing an "O" on your screen. Similarly, you can get to the flashlight with a "V" gesture and draw a "||" to pause playback. You can also double tap your screen to wake it up, customize the buttons and drag down from anywhere on the screen to access notifications and quick settings. And OnePlus built an optional homescreen called "Shelf," a place for frequently used apps and contacts as well as widgets. 7) Connection. It only works on the AT&T (T) and T-Mobile (TMUS) networks. Sorry, Verizon (VZ) and Sprint (S) fans. It also has no NFC chip, if you care about Android Pay and such things. You're probably not salivating right now, but it's an intriguing consideration because of the crazy-low price. 1) How to get one. You can get it online at OnePlus.net, but have to be invited to purchase a OnePlus 2. That means you need to know someone who bought one, and hope he or she invites you to buy a phone. Invites are in such high demand, they're currently selling on eBay for hundreds of dollars. OnePlus had a similar invitation system last year for the OnePlus 1, but it eventually opened the floodgates, letting anyone purchase the device. So if you're not connected or willing to pay for the privilege, you'll have to wait. 2) Looming competition. When Motorola's Moto X Pure Edition goes on sale later this year, the OnePlus will have some real competition for the best smartphone deal. The new Moto X will cost $400, but it aims to be a much better phone. Still, you can now get a top-tier phone for $329. That's nuts.